Sorry for the lack of posts lately, things have been busy as they usually are in the summer months. Unfortunately I have not had time for gaming, modeling, or painting, so I do not have much to post about. 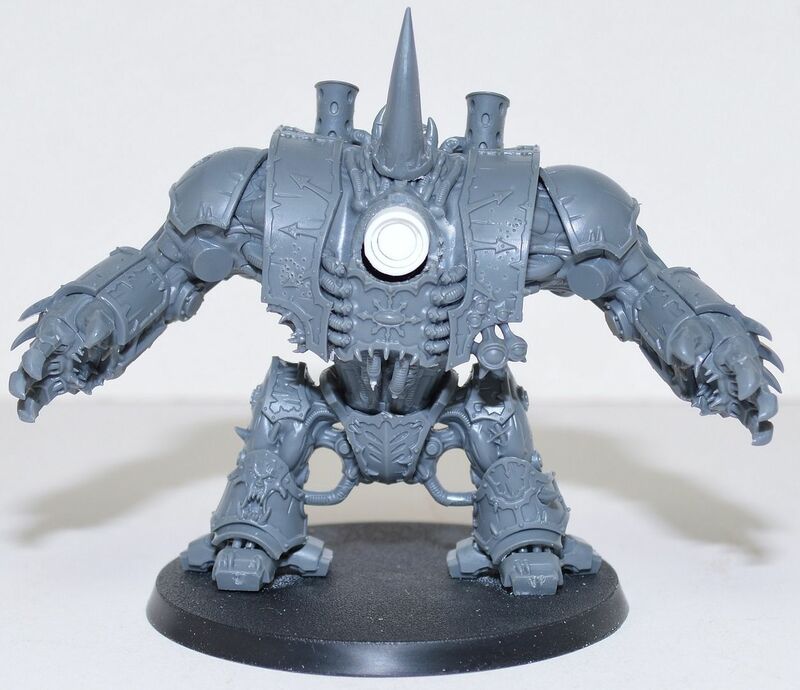 However, last night I got my last two Leadbelchers built for my Ogre army and I started assembling a Gorger and Scraplauncher. After that, I will need to build an Ogre BSB and I should have a pretty decent 2250 point Ogre Army assembled and ready for painting. I also started painting my August Painting Challenge unit, a unit of Burna Boyz, which I have to finish by the end of the month. Fortunately I only have to do five of them, but I hoping to finish twelve of them as I tend to use them in a truck in my Dread Mob list. I have also been thinking about putting together a second WHFB army using one of the two armies from The Island of Blood boxed set that will be released next month. I was planning on picking one up just so I can have the little rulebook anyway, so why not use one of the armies. Unfortunately, I am quite interested in both armies. I have gotten my hands on used copies of Army books for both armies and I am reading through them. It is a tough choice. I am not sure if Clan Pestilen has any relationship to the Chaos God Nurgle (of whom I am a big fan), but I am interested in doing a Plague Monk army using Lord Skrolk. The Plague Furnace is an awesome kit that I would love to build and paint. Unfortunately, the IoB set does not have anything that really helps with a Plague Monk army. On the other hand, the High Elf models in the set look superb. Anyway, hopefully I will have some new stuff to show off by the end of the weekend. Well the IoB kit does have what every Skaven army needs: Clan Rats. You can do an entire Pestilens army with all Plague Monks if you want (if Skrolk leads them), using no Clan Rats. In that case you can use the Clan Rat models as Slaves. They won't be optimized, but they will be useful. They are two very different armies, but they are both very good choices. Horde with crazy warmachines and monsters vs an elite army with more and more elite. Both are good magic armies, but High Elves are probably better. Definitely if you include Teclis. While they are two very different armies, one important thing they have in common is that neither of them are Initiative 2 armies! It is quite likely that the aspect of the Horned Rat that Pestilens worship is an aspect of Nurgle. Very likely. Like above, the set is a very good start to either of the two armies. Add a battalion set and you have a strong beginnings of an army.